My very own "monster" card for our forum game! 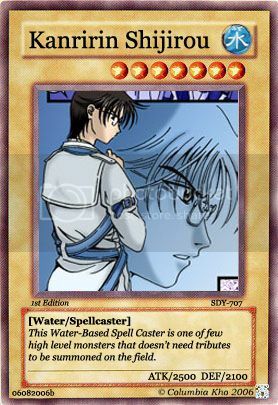 I made him both water and spellcaster because that's what he's like in the manga. You can still see the manga panels peeking from the card's photo. I need to find my old template of this so I can make one for each character. ...hm, now there's an idea.